I have been receiving a lot of emails about itineraries from readers and I have helped some of them plan their own holiday itineraries as well (of course for a fee). Planning an itinerary for your holiday can be a headache but since I’ve done this for a living, it gives me an adrenaline rush specially if it’s for me and not for a client. Hah! I want my readers to feel the same when planning their holidays because travel actually starts from there, the planning stage. You have to do your research and as you learn more about the place you’re going to visit, it somehow gives you a glimpse of what you’d like to do, what you’d like to eat and what you’d like to see while there. So I decided to share some of the itineraries of my own vacations to somehow help those travelers who are actually doing their own research. The most popular destination which was asked from me was going to Greece, I can’t blame them since this is my favorite destination too. When I was still working as a travel agent, I have had people going to different countries or even continents but ended up buying a package to Greece because of how I talked about it to them. Nobody goes to Greece and comes back disappointed so yes, it’s my favorite destination to sell as a travel agent. I always get a thank you letter from these clients after their holiday. Before anything else, you may want to check my post of Top 10 Reasons To Visit Greece to give you an idea of what to expect there and why I fell in love with it. Early September or late May is probably the best time to go there to avoid the throng of tourists wandering around the country and also to avoid the incredulous prices of just about everything during the tourist season. The peak season in Greece is June to August and this is the time when you can’t find an empty spot to put your umbrella on a beach, it’s always that crowded. The last time I was there was September 2012, we had an 11-day itinerary for the then boyfriend (now husband) and myself. We avoided the very touristy islands of the Cyclades region (Santorini, Mykonos and the likes) and focused more on the Ionian islands. Here’s our itinerary and the blog posts that I did of it. I traveled from Dubai to Athens with a connection to Thessaloniki Airport (SKG). The husband picked me up with a car rental from the airport and we immediately embarked on a 3-hour journey towards Kastraki, the small mountain village closest to Meteora. We only stayed for a night in Meteora since we only wanted to see the monasteries. I could’ve stayed there for another night though to be able to explore the mountain village of Kastraki and Kalambaka more specially after seeing how laidback and beautiful it is. On our second day, after visiting the monasteries, we drove towards Lefkada which was a 5-hour drive and stayed there for 4 days and 3 nights. We traveled from Lefkada to Corfu by driving and taking a ferry (we took the car with us in the ferry) for 4 hours. 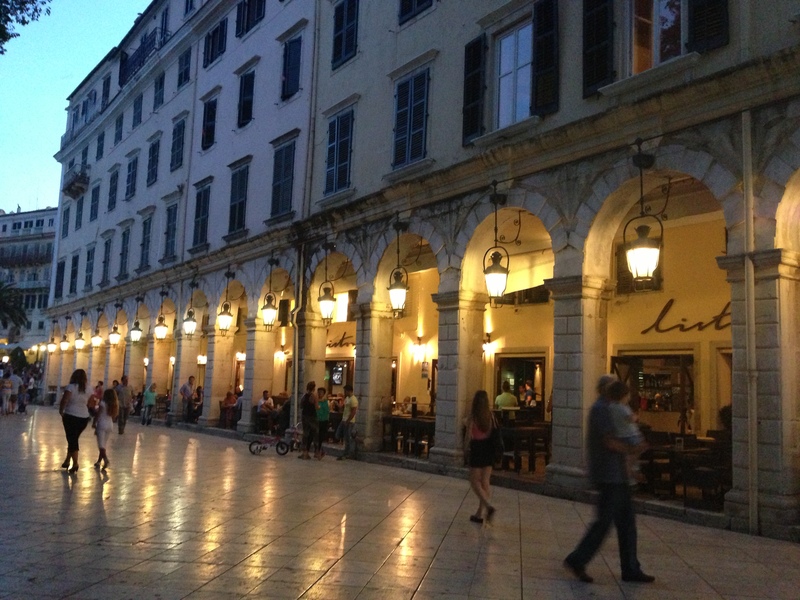 Again, our plan was to stay in Corfu for 4 days and 3 nights. From Corfu to Parga, it took us about 3 hours of travel including the ferry ride. 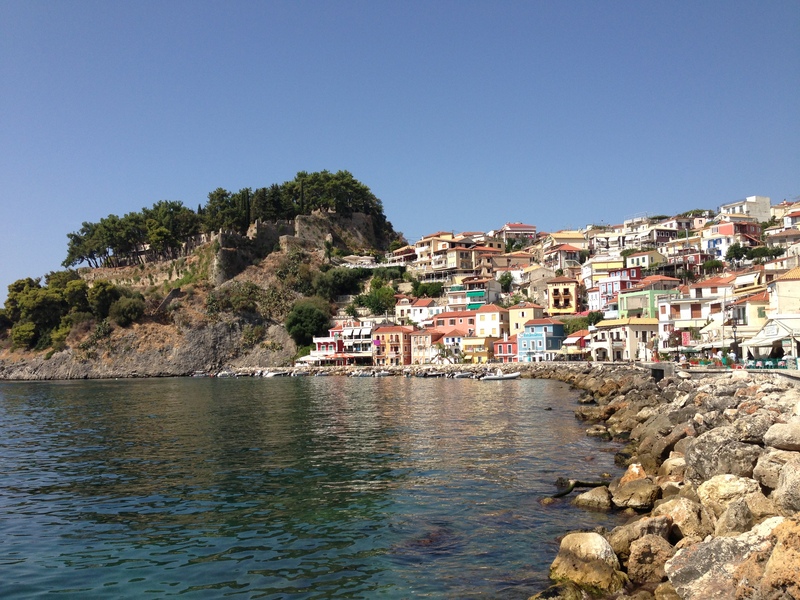 We stayed for a total of 3 days and 2 nights in Parga which was a big mistake, we should’ve stayed longer since Parga became my favorite among all the places we’ve visited during this trip. This part of our trip was just to break our journey since we’re going to take our flight back to Dubai from Thessaloniki with connection in Athens. That and of course to meet the then boyfriend’s (now husband) family in Thesaloniki. We just stayed for a night so we weren’t able to do much in the city except to have dinner at one of the tavernas near the husband’s house. So that’s our whole 11-day itinerary to Greece. I hope it was able to help you in some ways. My Big Fat Greek Story – Meeting the Greek boyfriend’s family. Wow, Neomi! This is really some detailed tips! Would love to see Greece one day.. these pictures are stunning, stupendi!